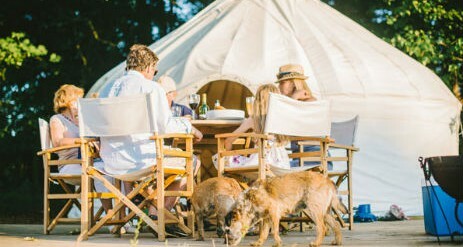 Yurtshire’s glamping site, at historic Newburgh Priory, sits in the spectacular landscape of the Howardian Hills. 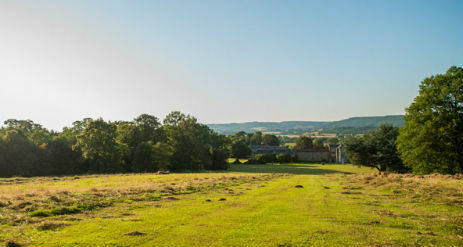 It’s an area of Outstanding Natural Beauty on the edge of the North Yorkshire Moors National Park. 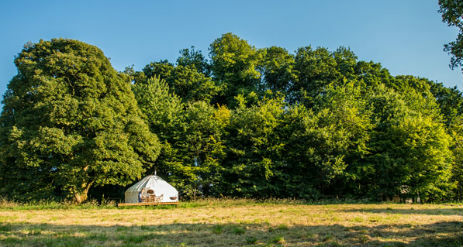 Three beautiful yurts sit nicely on the edge of an ancient woodland with views over the Priory and stunning countryside beyond. Our handcrafted yurts all have chic interiors and are both rustic and cosy furnished with a double bed, double and single futon making the yurts an ideal for couple on a romantic getaway or family group or friends. 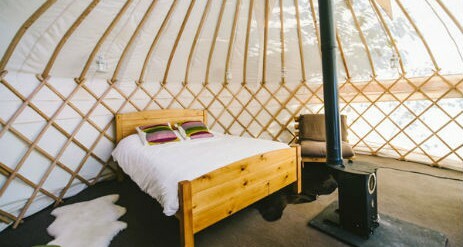 Each yurt is self contained with its own private full flushing toilet and hot shower, Drinking water as well as being fully equipped with everything that you should need during your stay. The yurts are well spread out to ensure your privacy with carefully considered facilities to guarantee your stay is as comfortable and relaxing as possible whilst not compromising on the enjoyment of staying in the great outdoors. Why camp when you can Glamp! Enjoy a long soak in our outdoor hot tub hidden in the trees. 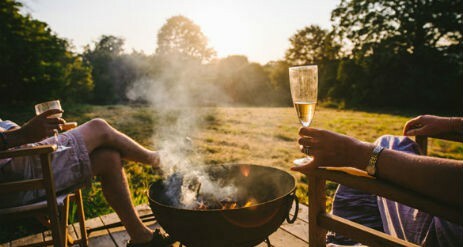 Guests can sit back and relax in the privacy of their own luxury yurt or even in the wood burning hot tub whilst enjoying the tranquillity and wildlife that are second to none at Yurtshire Newburgh Priory. Alternatively guests can learn about the many interesting facts of the priory or get involved with activities on site. 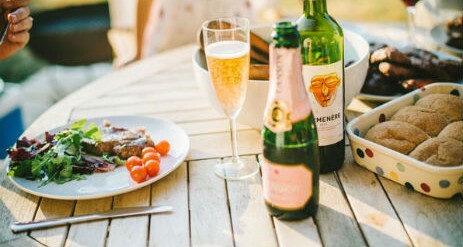 Yurtshire can be hired for your special occasion in the Yurtshire grounds. Our yurts can be tailored to make your wedding as unique as you! Get in touch for more information.